I ❤️ Numicon. 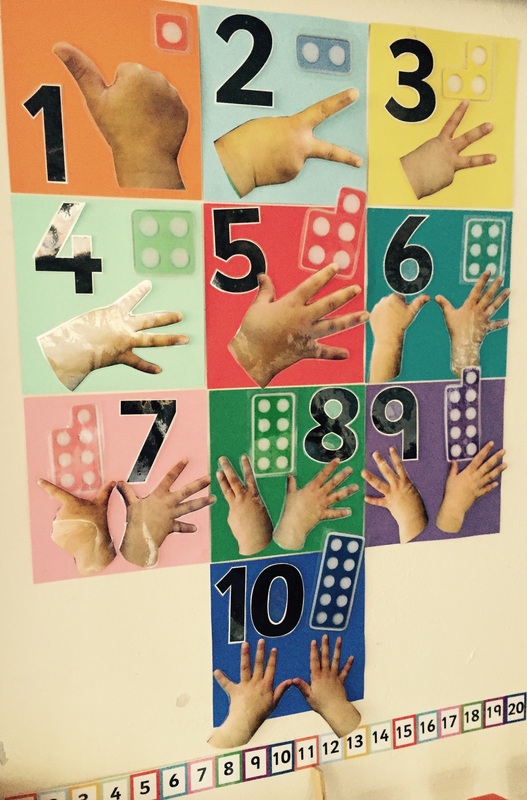 The tactile and visual element it adds to number is fantastic. 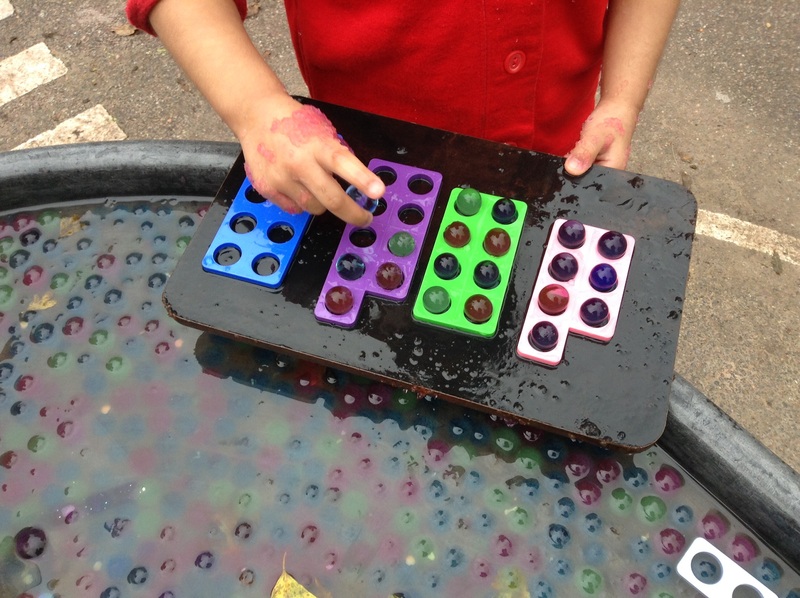 At the moment in Reception we are really just at the exploration stage, so I’ve but putting the numicon out with the paints, in gloop and with the play dough. At the play dough table the children made imprints with various pieces and investigated which pieces would fit on top of the other. 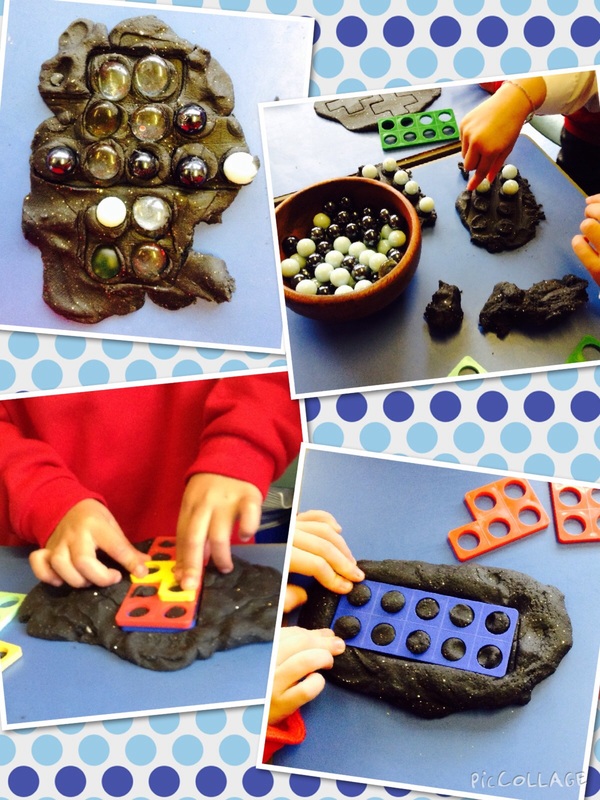 Marbles and gems also fit nicely into the Numicon holes so I put out a few bowls of these and modelled lots of counting out and one to one correspondence. 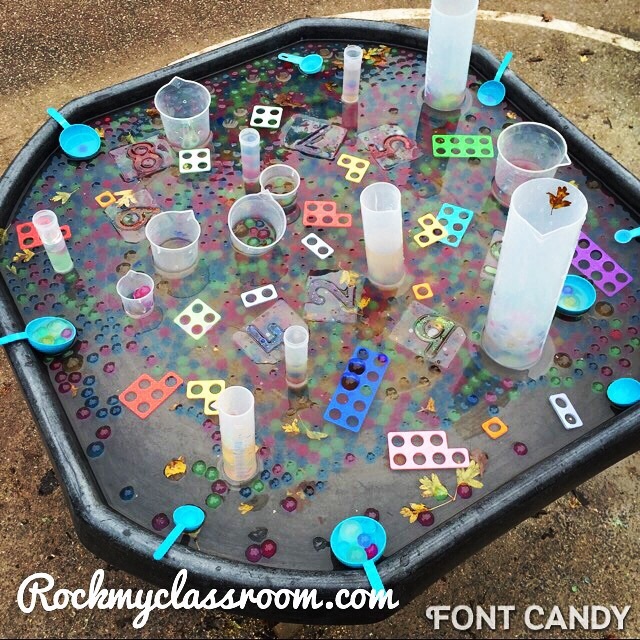 We also put it out with some aqua beads which offered a fantastic sensory experience…. We’ve been using the numicon tiles as a scaffold for our children who don’t get the concept of counting out from a larger group and stopping at a said number. 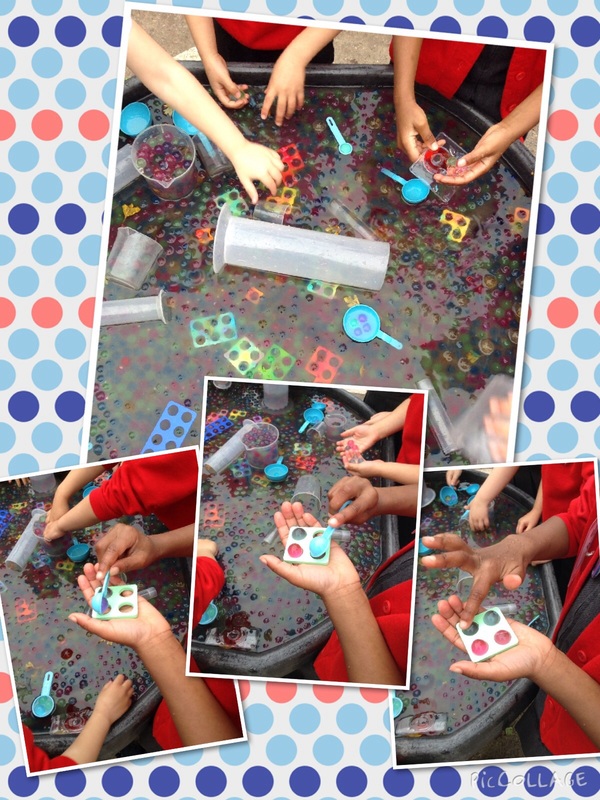 With the Aqua beads we encouraged the children to pick a number card and then count out that many aqua beads into the Numicon holes. I also have a little numicon display up on the wall and know it’s a bit OCD, but I’ve colour coordinated all my number lines etc around the classroom to coincide with the Numicon colours so that the children might notice certain patterns developing. 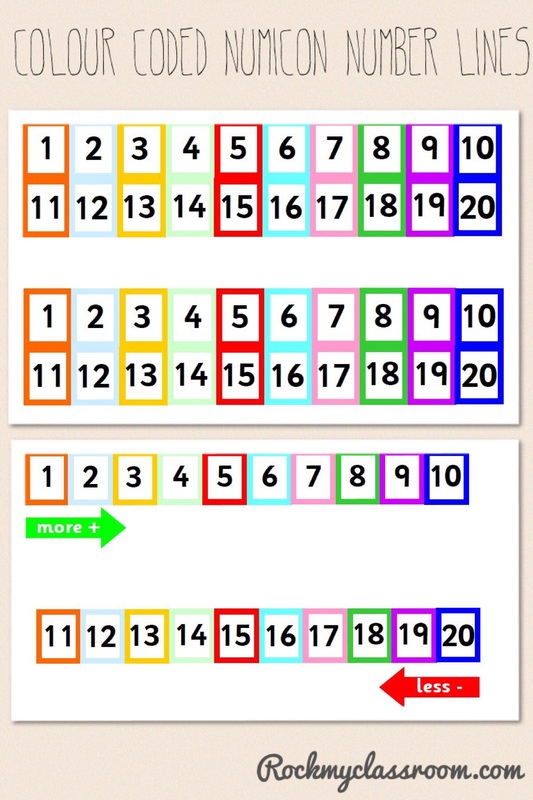 I had a few (million) requests to add the colour coded numicon number lines pictured on the wall display above and on my on maths table below. Your wish is my command; please click on the images below for your free downloads! Give all chn a piece of Numicon. Play Bob up. You shout out the number and the chn with the matching piece of Numicon stand up. Give all chn a piece of Numicon. All chn stand up on the carpet. Walk to find a partner. 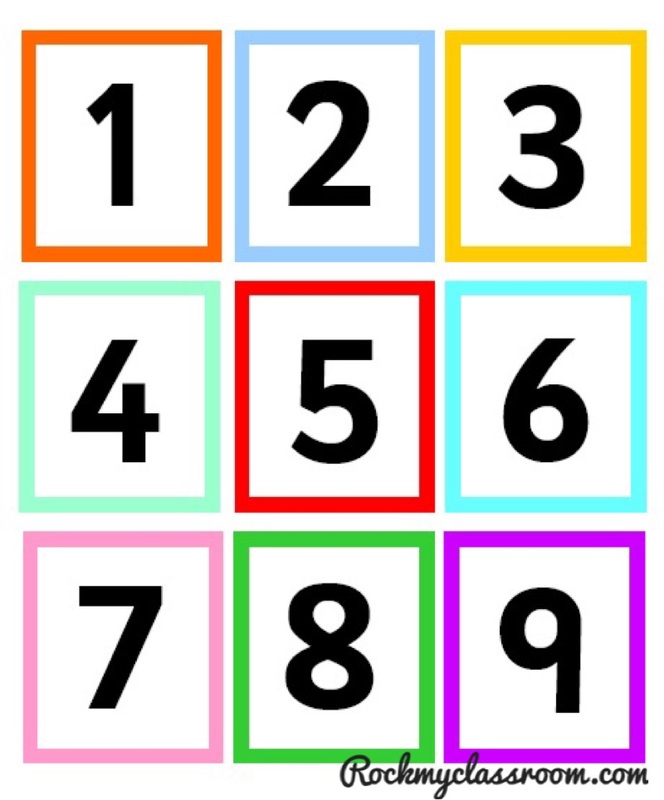 Say what number you have. Listen to your partner and swap pieces. Go and find a new partner. Same as above but for more able chn. 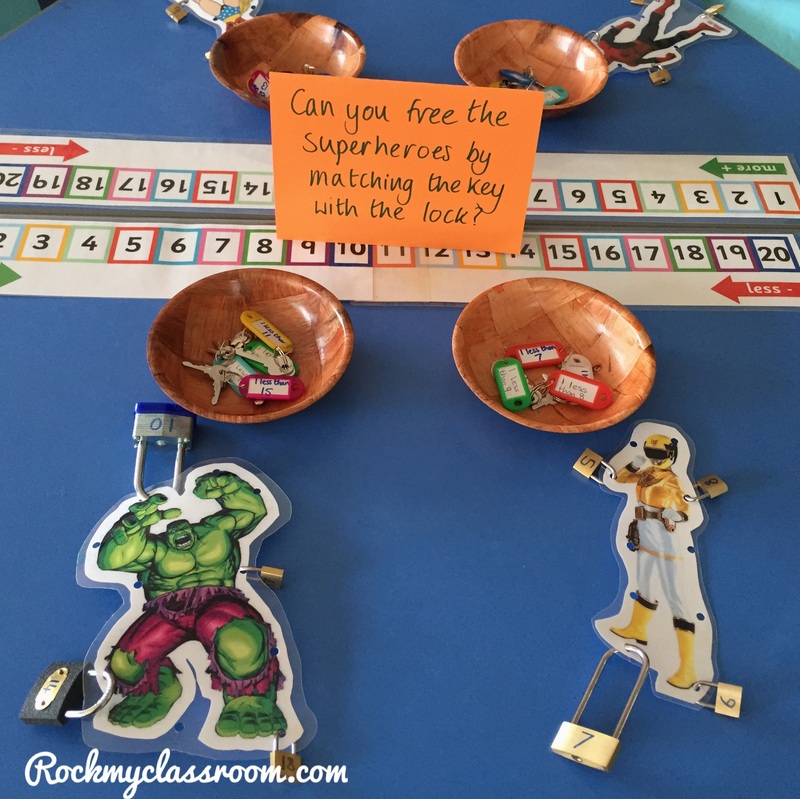 Put pieces together and count the holes to find a total. Swap pieces and find a new partner. This looks fantastic, I was keen to try it out so brought some Aqua beads, unfortunately they didn’t expand (well they did but only by a minuscule amount). Did you do anything special to yours? I wonder if the water I used was too cold. How long did they take to expand? Many thanks.